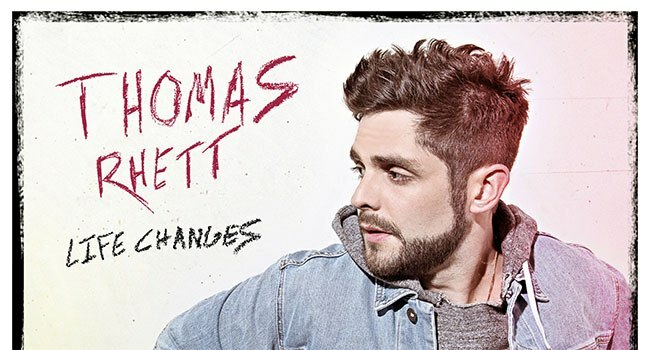 Thomas Rhett 'Life Changes' certified platinum | The Music Universe - Pop It Records - NEW MUSIC EVERYDAY! Thomas Rhett’s latest album Life Changes has earned RIAA platinum certification, hitting the noteworthy sales mark less than a year from its release. An instant hit out of the gate, Life Changes debuted at No. 1 on the all-genre Billboard 200 chart, marking the first country release to take the top spot in 2017, also drawing a 2018 GRAMMY nomination for Best Country Album. Life Changes’ diversity is “a testament to Thomas Rhett’s confidence” (Associated Press) with a bold, eclectic range of songs “united only in the breezy consistency of their craft” (Variety). Resonating with fans, each of the album’s three singles have soared to the top of the charts, bringing Thomas Rhett’s No. 1 tally to ten. His latest gold-certified hit “Life Changes” is Top-5-and-climbing at radio, becoming his 12th song to earn an RIAA sales certification. Thomas Rhett was recently named iHeartRadio’s Country Artist of the Year for the second year in a row, following a CMA Triple Play award for penning three No. 1 songs within a 12-month period (“Die A Happy Man,” “Star of the Show” and Michael Ray’s “Think A Little Less”), adding to his collection of trophies from the Country Music Association, Academy of Country Music, Billboard Music Awards, CMT Music Awards and more. After multiple sell-outs this year, Thomas Rhett is set to continue on his headlining Life Changes Tour, kicking off the fall leg September 13th in Bangor, ME with special guests Brett Young and Midland.